THANK YOU TO EVERYONE FOR HELPING US RAISE OVER $44,000 FOR THE DISABLED AMERICAN VETERANS DURING OUR 2018 EVENT!!!! 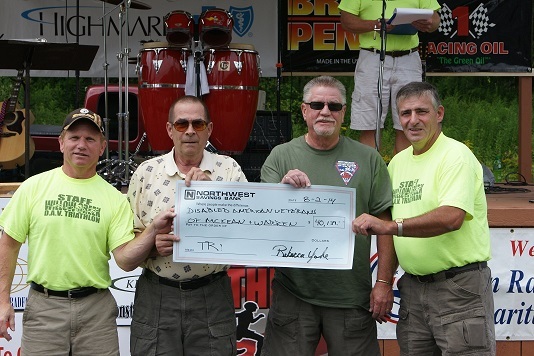 To date we have raised OVER $322,000 for our Veterans!! The 13th Annual Willow Creek Triathlon, benefiting Disabled American Veterans, will be held on August 4th, 2018. 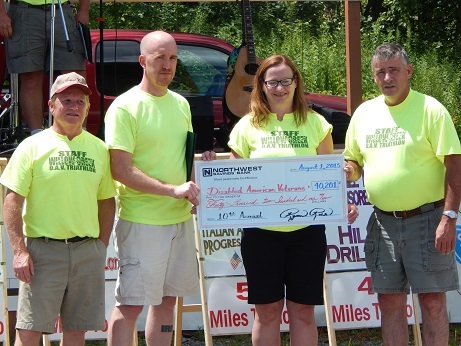 2017 title sponsors of the event were Northwest Savings Bank, Zippo/Case, Baker Hughes- a GE Company, American Legion Post 108, Philo & Sarah Blaisdell Foundation,Bradford Vets Club, Just Riding Along and VFW Post 464 Oil City, Debra & Dennis Faucher, DDS., Highmark Blue Cross/Blue Shield and Port Allegany Veterans memorial Inc. The purpose of the event is to raise money for the Disabled American Veterans Transportation Network. The money raised is used to purchase and maintain vans providing transportation of Vets to and from VA hospitals and clinics. 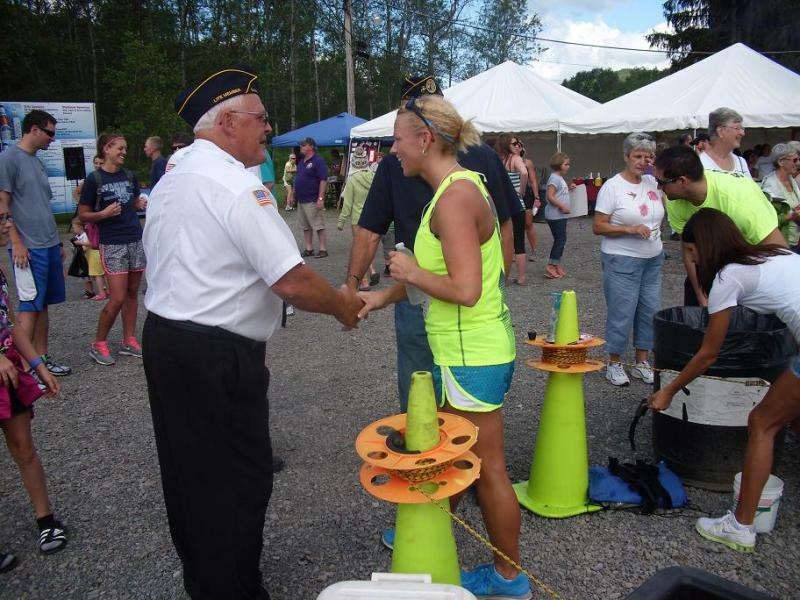 The money donated to the Triathlon stays within the local area, being evenly divided between the McKean and Warren County DAV Chapters. 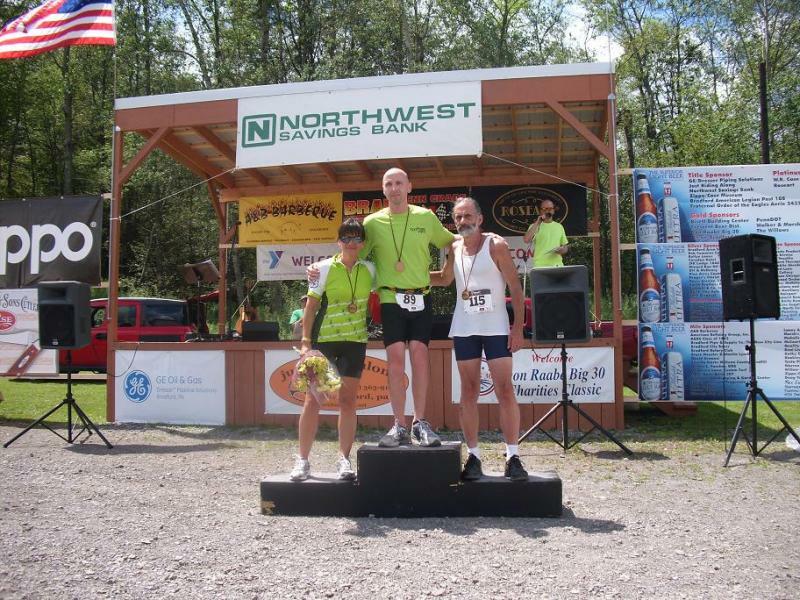 This triathlon is run on one of the most scenic routes in the area. 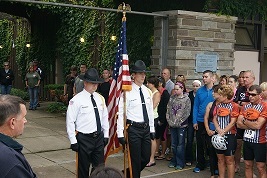 The event begins in Allegany State Park in New York at the Quaker Lake beach house. Quaker Lake is a manmade lake covering 268 acres. The lake is ~40 feet deep and has a 3.8 mile undeveloped shoreline. 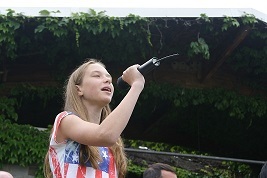 A blessing is offered for the race participants, event organizers, support teams and spectators. Swimmers will enter the water at approximately 5 second intervals. As the morning mist rises off the water, participants splash into Quaker Lake, swim around the lifeguard dock and back to the beach for a total of 300 yards. Once out of the water, the racer crosses the timing pad and run through the beach house to their bikes, beginning the 15 mile bicycle race to the Corydon Hotel. The bike route loops around the north end of Quaker Lake and back to route 28-, through the Allegany State Park and then around the Allegheny Reservoir. Totally surrounded by forest, the Allegheny Reservoir is the heart of one of the largest and most popular outdoor recreation complexes in the northeastern United States. With mile markers along the way, participants will weave through the forest to Giordano's New Corydon Hotel. Bikers dismount at the Hotel and put on their running shoes and head for the Willows Restaurant, 3 miles up the road. About one hour after the start, the first place winner crosses the finish line. Spectators, committee members, family and friends cheer the racers on until the last tri-athlete comes in. Top male and female racers, top 3 overall male and female individuals, top female team, top male team, and the top 3 in each age group both in the triathlon and duathlon events. Age groups are <15 years, 15-19, 20-24, 25-29, and so on, at five year intervals. The last age group includes tri-athletes 70 years and older. For the clydesdale and athena division, all members of the team or the individual must weigh over 200/150 pounds respectively. The top male and female Triathlon individuals also receive a special award, the Thom Maholic Memorial Award. Master Sergeant Thom Maholic was a Green Beret with Special Forces in Afghanistan. He lost his life in a battle with the Taliban in June 2006. Thom was a true tri-athlete, a true American and a true veteran. This award honors those who are true to themselves. The Brad Ketlz Braveheart awards are given to those determined people who make an extra effort under extenuating circumstances to compete in and complete the triathlon. The Willow Creek Triathlon Committee has honored an 8 year old boy and girl who completed the course with their father, a female cancer survivor and a young woman fighting a mental illness and many others over the years. Again this year we will also host a duathlon race. This will include the 15 mile bike ride and the 3 mile run. Awards will be given in a similar manner to those given for the Triathlon. Registration starts at 7:00 AM, with a rules meeting at 9:00 AM and the start at 9:30AM. Both individuals and teams of 2 or 3 may participate. Entry fees are $50 for an individual and $90 for a team. For more information visit: ﻿www.score-this.com.